The results of a study that was published recently could lead to the filing of Viagra lawsuits around the United States. These Viagra lawsuits would be filed if men who used this drug developed melanoma. The study at issue reached the conclusion that men who take this medication could face a substantially higher risk of developing this form of cancer than those who do not. Melanoma, like many other forms of cancer, can be treated successfully if it is diagnosed early. It can also be deadly if it is not caught in time, and that’s why men who use Viagra need to be aware of the potential risks involved with it as this study defined them. The study, a link to which can be found here, was completed by researchers from Boston, Indianapolis and even China. The data involved reviewing records for more than 25,000 men. Specifically, the researchers were looking for any problems associated with the active ingredient in Viagra which is known as sildenafil citrate. The three types of skin cancers that were being evaluated in the study included melanoma, squamous cell carcinoma (SCC), and basal cell carcinoma (BCC). The research revealed a potentially significant link between the use of the active ingredient found in Viagra and the subsequent development of melanoma. Specifically, that heightened risk was defined at more than 80 percent. The study did not find a significant link between the use of Viagra and SCC or BCC. Ultimately, the researchers concluded that this study alone should not be used to alter clinical recommendations. Instead, they recommended that this data be used for additional investigations into the potential link between the use of Viagra and melanoma. 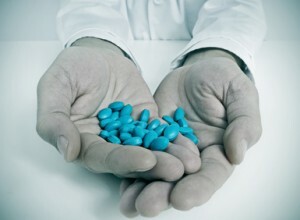 Viagra is perhaps the most famous drug available on the market that treats the symptoms of erectile dysfunction, or ED. Viagra is so well known that many people casually refer to it as the “little blue pill” in general conversation. Viagra was originally approved for marketing and sale in the United States by the FDA in 1998. Since that time, Pfizer has seen its ED medication generate billions of dollars in revenue for the company. Presently, it’s estimated that Viagra generates more than $2 billion in annual sales. The American Cancer Society lays out some troubling facts regarding melanoma. The group predicts that nearly 44,000 men in the United States will be diagnosed with this disease in 2014. Nearly 6,500 men are expected to lose their lives as a result. In addition, the American Cancer Society states that the risk of developing melanoma increases with age. This reality becomes even more potentially problematic when considering the fact that Pfizer itself has indicated that a large portion of the users of Viagra are in their early or mid-50’s. If you have been using Viagra and you notice anything unusual about your skin, take no chances and obtain a full medical evaluation. If you are diagnosed with this form of cancer, seek immediate legal advice so that you can understand your potential options for the recovery of compensation. Contact the Viagra melanoma lawyers at Parilman & Associates today to schedule a free initial consultation. You can either email the firm or call 800-800-DRUG.